The concept of excellence has always preoccupied great minds. Aristotle liked to say that excellence is not an act, but a habit. And former US Secretary of State Colin Powell said that to achieve excellence in the big things, you have to develop the habit in little matters. Which started me thinking about what excellence actually means in practice. And I was taken back to a moment during a North Pole expedition a number of years ago. We were on a ship, heading north. One of the members of our team was South African cameraman Chris Lotz. Chris’s brief was, among other things, to get video footage of a polar bear. 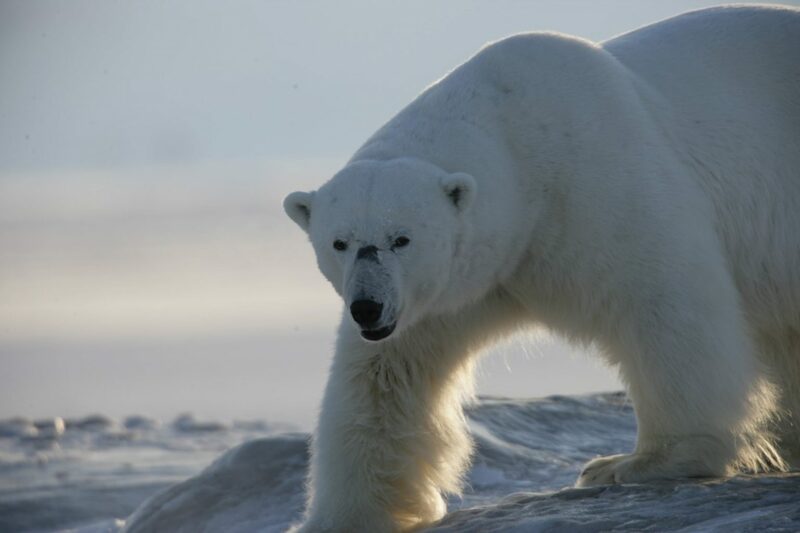 Now, you are not guaranteed to see a polar bear on the way to the North Pole. It takes seven days to get there, and seven days back again. The first two days and the last two days are through open sea, so you’ve effectively got 10 days in which to spot one. Polar bears are white, and everything around you, all the way to the horizon, is white, so if you pass one on the ship, you might not even see it. On day 3 when I went for breakfast, I noticed that Chris our cameraman wasn’t there. He wasn’t there again for lunch, but I didn’t think anything of it because there were two sittings for each meal. But when he still wasn’t there at dinner, I thought, hold on, where’s Chris? I went down to his cabin – empty. I thought he might be filming on the upper deck, but he wasn’t there. I checked in the cabin of a friend he used to visit – no luck. 24 hours had now passed and I started panicking. Had he fallen overboard? I ran back to the upper deck of the ship again and this time I looked properly, craning my head up to take in the upper mast. And there I spotted Chris huddled behind the mast with the camera in his hand. I sprinted up 4 ladders to get to him, and ask him what he was doing. Minutes later, a pair of polar bears walked in front of the ship – a mother and her cub. They jumped off the ice and swam across a patch of sea. Then the mother climbed out, with the cub not far behind her. It sprinted along after her as she disappeared into the horizon. The entire scene took 25 minutes at most and Chris got the whole thing, beginning to end. That was excellence in practice. Here’s the rub – we never saw another polar bear for the rest of the 14-day expedition. The bottom line is that the quickest and easiest way to do a job is to do it with excellence. If you don’t, you may have to do it again and you don’t always get a second chance.